The sixth-largest medical school in the United States, we are the largest of the six schools of The University of Texas Health Science Center at Houston. We are located in The Texas Medical Center, which is ripe with amazing opportunities for patient care and basic science and clinical research. Known as a collegial and friendly school, we attract outstanding students. More students apply here than any other public medical school in Texas. With our affordable tuition and fees, we are consistently rated as one of the best values in medical education. We are proud to celebrate our annual traditions that include a Student Retreat for incoming students, White Coat Ceremony, Student Clinician Ceremony, and, of course, Match Day and Commencement. We are thrilled to announce a major revision to our curriculum. Starting in the fall of 2016, we will be offering more and earlier patient interaction, as well as a more integrated system for students to translate basic science to clinical applications. 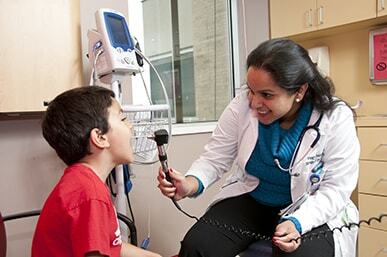 Our high-tech curriculum is grounded by our values of humanism and respect for each patient. With more than 900 accredited residency and fellowship positions in specialty and subspecialties, we offer an incredible breadth of clinical training programs and are proud to train the best specialists for Texas. It is gratifying to know that our nearly 7,000 graduates are serving their communities and are carrying on the medical school tradition. We invite you to be a part of our great story.